In an ideal world ALL fruits and vegetables would be organic, or next best – they’d be more affordable. But because buying 100% organic is out of reach for most people, either due to financial or availability constraints (or a bit of both) – the Environmental Working Group – every year undertakes the most in-depth research, to present to us the foods that are MOST and LEAST contaminated with pesticides. They call it their ‘Dirty Dozen & Clean Fifteen List’ – a catalog of fruits and vegetables with the highest and lowest amounts of pesticide residue. Using this, you can be more selective about which foods you will go the extra mile for to get organic, and those where you can cut a little slack. 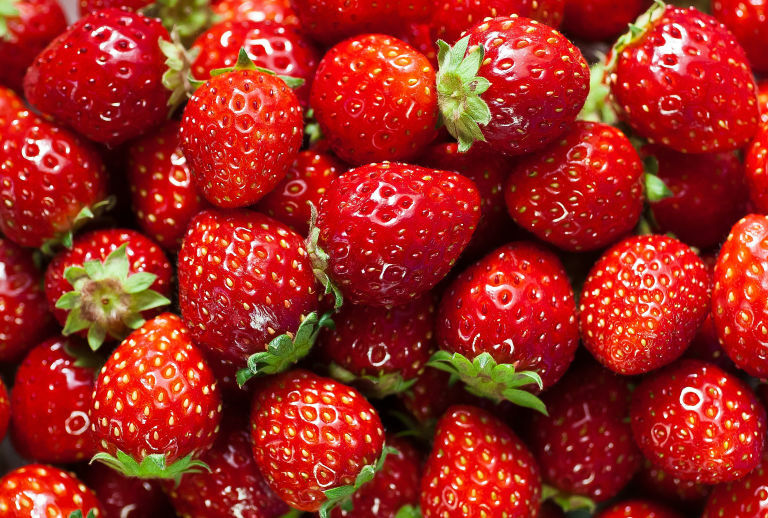 Strawberries still top the “Dirty Dozen” list — in fact, one sample of strawberries had more than 20 different pesticides. The increased insect burden has driven up pesticide use. While toxicity levels and concentrations vary by item, synthetic pesticides should be avoided (or severely limited) for infants, babies, and young children, the EWG reports. Here’s a list of the “Dirty Dozen” and the “Clean Fifteen” from the EWG. Where are you based Beverley? I just ordered your book and wonder if you will give me access to your videos because I completely missed one and because you talk faster than I can absorb the information so I would like to listen to them over and over until I ‘get it’ ? Hi there,I read your blogs named “The Most Important Foods to Buy Organic (EWG’s Dirty Dozen & Clean Fifteen 2017) – Live Energized” regularly.Your humoristic style is witty, keep doing what you’re doing! And you can look our website about powerful love spells. Hi, Ross–thanks for this. The EWG is an American group, and thankfully in Europe standards are a bit tighter so we have somewhat better protection in some areas. For example, the EWG website itself points out that some of the pesticides found in American strawberries are banned in Europe. I was wondering if you might have access to a list thAt reflects what is on sale in the UK. Thanks. Can you find a list for Holland (or other countries), for they say the policies are very strict here? What is your opinion about spicy chili peppers, jalapeño, poblano?